Ed. Note: This post is part of the Spotlight on Commerce series, which highlights members of the Department of Commerce who are contributing to the president's vision of an America Built to Last. As a native Washingtonian, and having earned a B.A in Psychology from Hampton Institute and a Master of Public Administration from Howard University, I knew early on that I wanted my life work to center around individual and organizational success. To this end, I decided to dedicate my career to public service. Over twenty years of my career has been spent in the Department of Commerce. 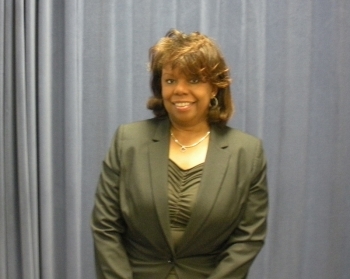 Since February 2011, I have had the privilege to serve as Deputy Director, Office of Human Resources Management (OHRM). My primary responsibility is to lead and direct the development and implementation of government-wide and departmental policies, employee programs and activities in all aspects of human resources management and administration. Additionally, this includes coordinating and overseeing HR operations at each of the department's seven bureau level HR service centers. This role has given me an opportunity to serve the department’s workforce at each stage of the employee lifecycle (planning, recruitment, hiring, training and development, retention and retirement/separation). In partnership with the Director of OHRM, William “Bill” Fleming, our vision is to deliver optimal HR services and products that support and enable mission accomplishment and create a workplace environment that fosters excellence and innovation. This vision is rooted in the policies, processes and practices that support and sustain a strong and capable organizational workforce built to serve the American people. I am a native of Washington, DC and had the benefit of growing up in a home with loving parents who stressed family, integrity, achievement, service, and education.The values I learned at home were reinforced by those I was taught by the Jesuits at Gonzaga High School. This strong foundation led me to receive degrees in Physics from MIT (Ph.D.) and Johns Hopkins (B.A.). Physics is simultaneously empowering and humbling. It is empowering in the knowledge and understanding that helps others and humbling in that often the more we learn the more we realize we do not know. When I was in school, it was disturbing that so few minorities and women were considering Science, Technology, Engineering, and Mathematics (STEM) career fields. So, after finishing at MIT, I applied for positions at universities in Africa and at Historically Black Colleges in the U.S. My first two positions were on the Physics Faculties at Southern University (Baton Rouge) and Morehouse College. I am very proud that, among the students I taught while at Morehouse, two are now NOAA scientists. I am currently Director of the Office of Budget at the Department of Commerce. That means I am the principal adviser to the Chief Financial Officer and Assistant Secretary for Administration and other Department officials on all things related to the planning, formulation, execution and defense of the Department’s budget. I understand that not everyone is a numbers person, but I love this position because of public debates associated with supporting the president’s agenda and, more important, the roles and mission this Department plays in executing those objectives in helping to create an America built to last! My entire professional career has been in public service. 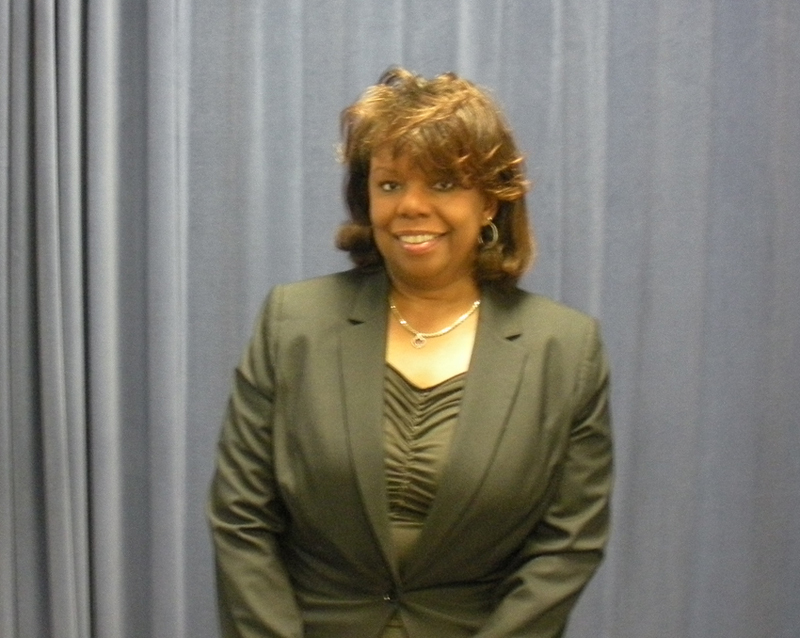 Prior to joining Commerce in March of 2011, I served 33 years in the United States Air Force. My last assignment was Director of Financial Management and Comptroller for Air Combat Command at Langley Air Force Base, Hampton, Virginia. 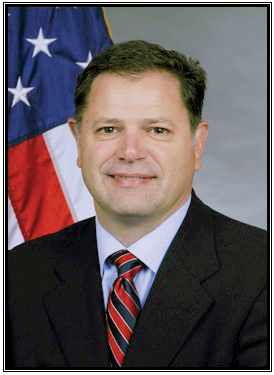 As Chief Financial Officer for the largest operational command in the Air Force and the principal financial adviser to the Air Combat Command Commander, I led a 67-person financial management staff that supported a financial network of more than 1,100 people supporting 25 air wings, 1,100 aircraft and approximately 105,000 personnel. I retired from active duty as a colonel in February of 2011 and was given an opportunity to continue my service to the nation here at the Department of Commerce. The U.S. Census Bureau yesterday released five data products that show many facets of educational attainment across the nation and present statistics on the levels of education achieved by various demographic characteristics. In March 2011, for the first time ever, more than 30 percent of U.S. adults 25 and older had at least a bachelor's degree, the U.S. Census Bureau reported. As recently as 1998, fewer than one-quarter of people this age had this level of education. 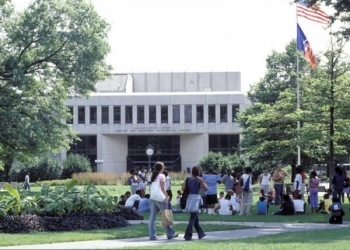 In addition, more than one-third (20 million) of the nation's 56 million bachelor's degree holders held their degree in the broad field of science and engineering, including 4 million each in the social sciences and engineering and 3 million in biological, agricultural and environmental sciences. This information comes from Educational Attainment in the United States: 2011, a collection of national-level tables from the Current Population Survey Annual Social and Economic Supplement (CPS ASEC). Historical tables go back to the late 1940s, when the CPS first began collecting data on attainment. As the president said when he launched the Campaign to Cut Waste in June 2011, “No amount of waste is acceptable, not when it’s your money. Just as families are living within their means, government should, too, so we can invest in the things that we know will create good jobs and grow the economy.” As part of those ongoing efforts to make government more accountable to the American people and cut wasteful spending, I am happy to report today that the Commerce Department has awarded a contract for computers that is expected to save taxpayers $20-25 million over the next five years. Through the contract with Intelligent Decisions Inc., we will reduce our cost for desktops and laptops by 40 percent. The contract leverages the large volume of computers that Commerce purchases each year and standardizes specifications to achieve significant cost reductions. Making wise spending decisions like this will enable Commerce to focus resources on its primary mission, which is supporting innovation, helping American businesses create jobs, and driving U.S. competitiveness around the world. Intelligent Decisions Inc., is a small business reseller offering products manufactured by Dell Inc. By awarding this contract to a small business, the Commerce Department will increase its small business participation for computer purchases by over thirty percent. Intelligent Decisions Inc. will be providing valuable services to Commerce, including helping to better monitor its inventory of computers, improving delivery time, and loading custom images onto computers. Last Friday, President Obama visited the Boeing assembly facility in Everett, Washington to announce new steps to promote American manufacturing and increase U.S. exports. 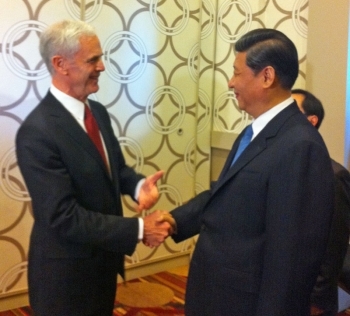 Manufacturing represents nearly 60 percent of total U.S. exports, and Boeing, whose CEO Jim McNerney is Chair of the President's Export Council (PEC), is one of the country’s leading exporters of manufactured goods with more than $34 billion in total exports in 2011. The PEC is chartered to advise the president on real ways to boost innovation, competitiveness, and trade for American businesses. Mr. McNerney brings great skill and know-how to the PEC. 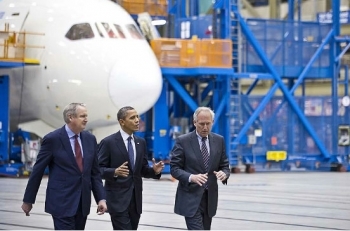 The Obama administration has provided important support to Boeing’s export success, and the president has made unprecedented efforts to open up markets for American goods and to level the playing field for all American companies. Over the past year, the president has signed into law a series of trade agreements that will provide a major boost to our exports by making it easier for American companies to sell their products in South Korea, Colombia, and Panama. 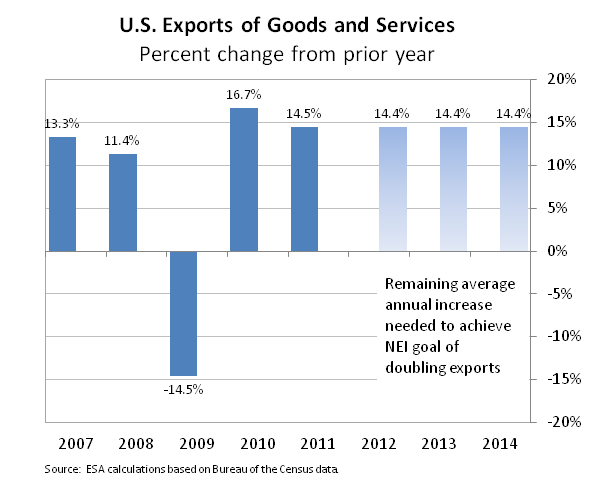 In addition, record-setting efforts at the Export-Import Bank–through direct loans, credit guarantees, and credit insurance–have helped U.S. exports remain on target to meet the president’s goal to double exports between 2010 and 2015. I have dedicated the majority of my professional career to guiding faith-based and non-profit organizations toward positive social and economic change. 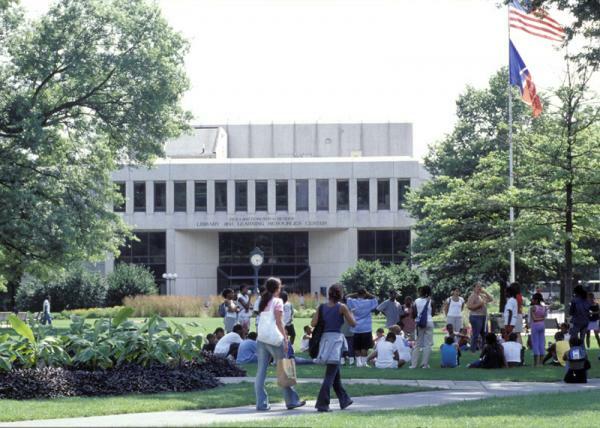 I attended Howard University (GO BISON!! ), graduating with a Bachelor of Arts in Business Finance, and earned a Master of Divinity Degree from Princeton Theological Seminary. Additionally, I received a Master of Public Administration from the School of International & Public Affairs at Columbia University. 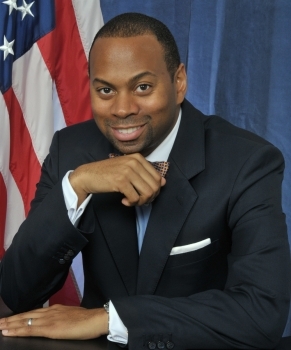 In June 2009, I was appointed by the White House as the Director of the Office of Faith-Based and Neighborhood Partnerships at the Department of Commerce. As a member of Secretary John Bryson’s senior advisory team, I seek to forge and enhance partnerships with secular and faith-based organizations, particularly in policy areas of census, economic development and minority business development. At Commerce, we are working hard to create an America built to last. One of the ways my office approaches this goal is to strengthen and increase capacity of the non-profit organizations by encouraging cross-sector partnerships to stimulate local economies, create jobs and attract private investments in communities with high unemployment and low per capita income. In 2010, non-profits alone accounted for $779 billion of our country’s gross domestic product (5.4 percent). As we work to improve our economy, it’s important to know that non-profits employ and create jobs locally; in 2009, nine percent of the economy’s wages, and over 10 percent of jobs in 2009. Today, in conjunction with the newly-launched BusinessUSA initiative, the Department of Commerce announced the launch of their business app challenge. The $10,000 contest challenges app developers to find innovative ways to utilize Commerce and other publicly available data and information to support American businesses. The business app challenge calls on developers to utilize at least one Department of Commerce data set in creating an application that assists businesses and/or improves the service delivery of Business.USA.gov to the business community. Developers may choose the platform that best suits them. Applicants may design for the web, personal computer, mobile handheld device, or any platform broadly accessible to the open Internet. 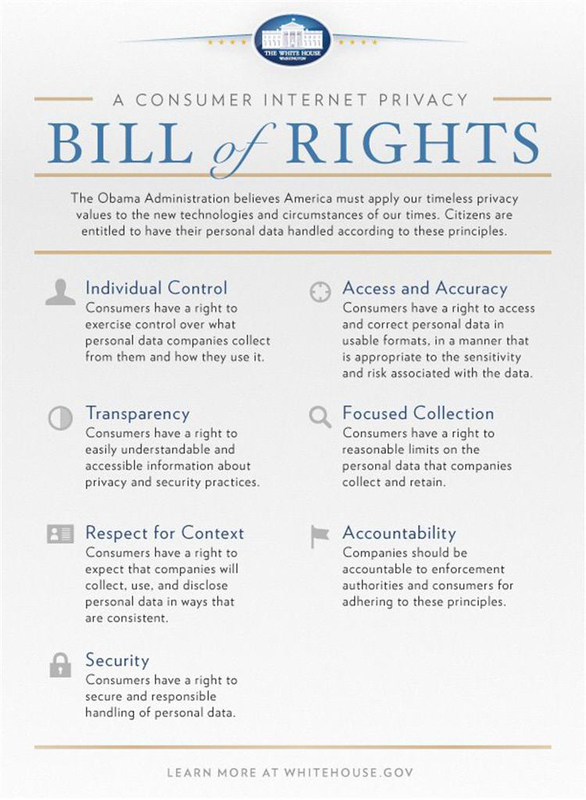 A list of developer-friendly data sets can be found on the Business Data and Tools page of Data.gov. Earlier today, Secretary Bryson spoke to the first-ever State Department Global Business Conference during an afternoon plenary session entitled, “What the Government Can Do for Business.” He discussed his top priorities as Commerce Secretary: supporting advanced manufacturing, increasing U.S. exports, and attracting more investment to the U.S. Bryson highlighted efforts at making the Commerce Department an effective partner and resource for American businesses. Secretary Bryson focused on the Administration's jobs effort, saying "In October of last year, I was confirmed as Secretary. Around that same time, Secretary Clinton sent a cable to her staff in U.S. embassies. It said that strengthening our economic leadership abroad and driving growth here at home – “economic statecraft” – is now a key part of what the State Department does. I was pleased to hear this because economic statecraft aligns perfectly with the top priorities I have for the Commerce Department: supporting advanced manufacturing, increasing U.S. exports, and attracting more investment to the U.S. – all to create jobs." Secretary of State Hillary Clinton amplified that message earlier at the luncheon session, saying "I have made 'Jobs Diplomacy' a priority mission at the State Department, with a clear goal: Just as our companies are ready to out-work, out-innovate, and out-compete their rivals, so we intend to be the most effective diplomatic champions for prosperity and growth." According to a recent industry study, cyber crimes cost the global economy $388 billion annually in both direct financial losses and the value of lost time dealing with the effects of cyber crime. The study found that about 431 million adults are victims of cyber crime each year. Another recent study found that annual cyber crime costs for larger U.S. companies averaged about $5.9 million each with a 44 percent increase in the number of successful cyber attacks compared to the previous year. To help organizations better protect themselves from such threats, the Commerce Department’s National Institute of Standards and Technology (NIST) today announced a new partnership to establish the National Cybersecurity Center of Excellence. 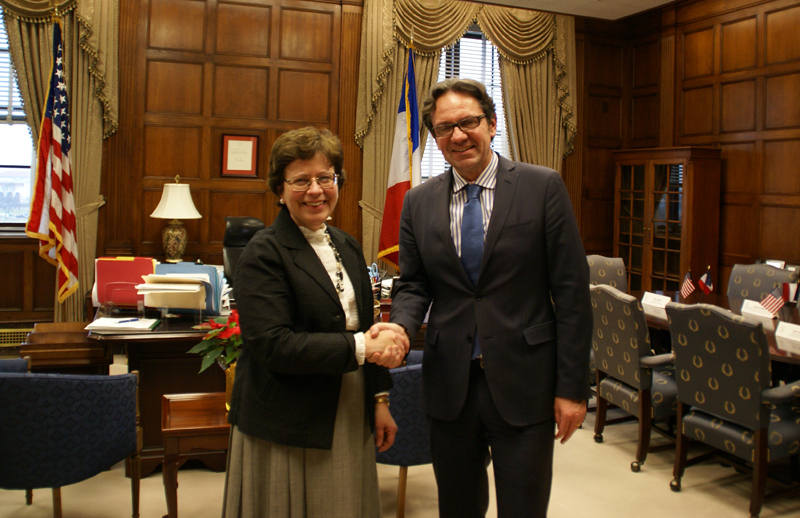 The Center will operate as a public-private collaboration for accelerating the widespread adoption of integrated cybersecurity tools and technologies. The State of Maryland and Montgomery County, Md., are co-sponsoring the Center with NIST, which will work to strengthen U.S. economic growth by supporting automated and trustworthy e-government and e-commerce. U.S. Senator for Maryland Barbara Mikulski, Maryland Lt. Governor Anthony Brown and Montgomery County Executive Isiah Leggett were at NIST in Gaithersburg, Md., today to announce the partnership with Under Secretary of Commerce for Standards and Technology and NIST Director Patrick Gallagher. Manufacturing represents nearly 60% of total U.S. exports and will play a vital role in America’s economic recovery. During his State of the Union address, President Obama laid out a blueprint for an "America Built to Last." That starts with American manufacturing. And in his FY2013 budget request, the president outlined strong support for manufacturers by increasing investments in advanced manufacturing, new trade promotion efforts, and innovation. Today, the president toured the Boeing assembly facility in Everett, Washington, to announce new steps aimed at promoting American manufacturing and increasing U.S. exports. This visit comes on the heels of his trip to Milwaukee, Wisc., where he toured Master Lock, a company that is insourcing and selling their products all over the world. 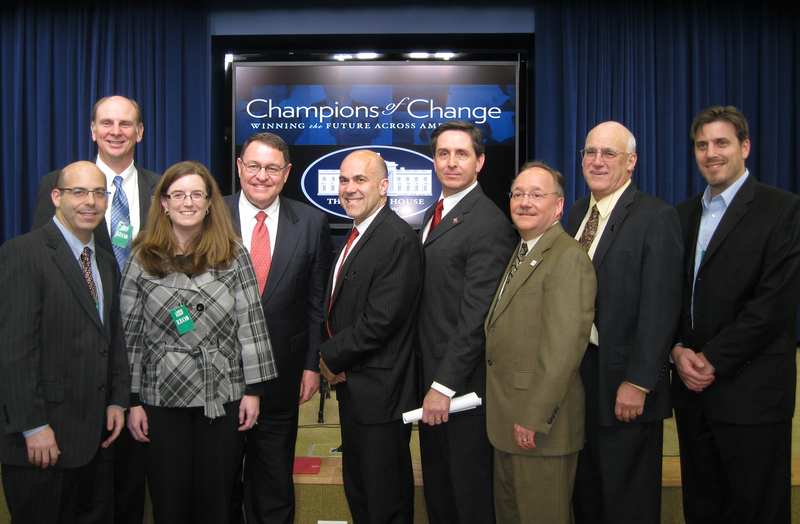 Federal agencies are making significant investments in innovation and American manufacturing. During the past two years, we have begun to see positive signs in American manufacturing, with the manufacturing sector adding more than 400,000 jobs-the first period of sustained job growth in manufacturing since the 1990s. Over the past three years, business owners and entrepreneurs have told us that they don’t have the time or resources to navigate the maze of government agencies and need a one stop shop where they could go for all the assistance they need at every stage of their development. As President Obama said in his State of the Union address last month, we need to give U.S. businesses every opportunity and tool to succeed and not a maze to navigate. And as Secretary Bryson has said multiple times while traveling to manufacturers in Columbus, Norfolk, Pittsburgh, and Minneapolis, we need to support American businesses so they can build their products here in America and sell them everywhere around the world. 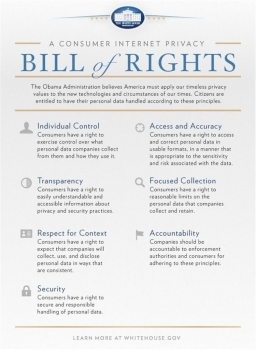 This is why the Obama Administration is launching a new online platform, BusinessUSA, to help small businesses and exporters of all sizes find information about available federal programs without having to waste time and resources navigating the federal bureaucracy. BusinessUSA combines information and services from 10 different government agencies through one consolidated website and coordinate telephone support through a single 1-800 number. The BusinessUSA website went live today with hundreds of business resources consolidated in one place including Commerce’s International Trade Agency, Census Bureau, Patent and Trademark Office, several other Commerce bureaus, as well as, multiple other government agencies. BusinessUSA is a platform to make it easier than ever for businesses to access services to help them grow and hire from the day they need technical assistance to start a business, to the day they start building a product and need financing, to the day they are ready to export and need help breaking into new markets overseas. It’s a “No Wrong Door” approach for small businesses and exporters, creating a common platform to match businesses with the services relevant to them, regardless of where the information is located or which agency’s website, call center, or office they go to for help. And as more federal agencies publish content through web services, the more we will be able to highlight the most relevant information and programs from across the government. 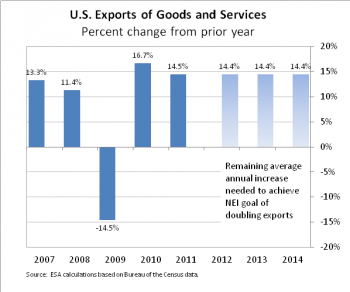 In his 2010 State of the Union address, President Obama set a goal of doubling exports by the end of 2014 – an increase that will support two million additional jobs here at home. In a time when millions of Americans are out of work, boosting U.S. exports is a short-term imperative because exports support millions of good, high-paying American jobs. And for companies looking to expand, looking beyond our borders only makes sense because 95% of the world’s customers are outside our borders. Since the President announced his goal, exports are up 33.5% and slightly ahead of the pace needed to achieve the National Export Initiative goal of doubling exports by 2014. Yet, even with that success, only 1% of businesses export and of those that do, 58% export to only one market. 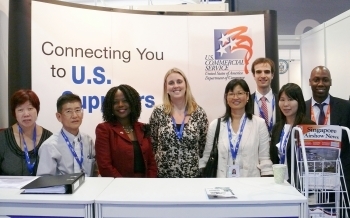 That is why the Department of Commerce’s U.S. Commercial Service has joined forces with several private sector vendors in the New Market Exporter Initiative. This program provides companies with expert analysis of target countries, matchmaking services with vendors or distributors and help with logistics and shipping. Those strategic plans are paying off. Today we begin a series highlighting private sector vendors and the manufacturers they are helping export to new markets. FedEx works closely with the Commerce Department to support the National Export Initiative by reaching out to its customers, especially those in the manufacturing sector, who are best positioned to export. Through its expansive outreach network, FedEx has seen firsthand how looking beyond our borders can breathe new life and new jobs into a business. They know that exporting is no longer just a competitive advantage, but a means to survive this changing environment. This week I’m in Singapore leading a delegation of fifteen small and medium sized U.S. aerospace companies to the 2012 Singapore Air Show. 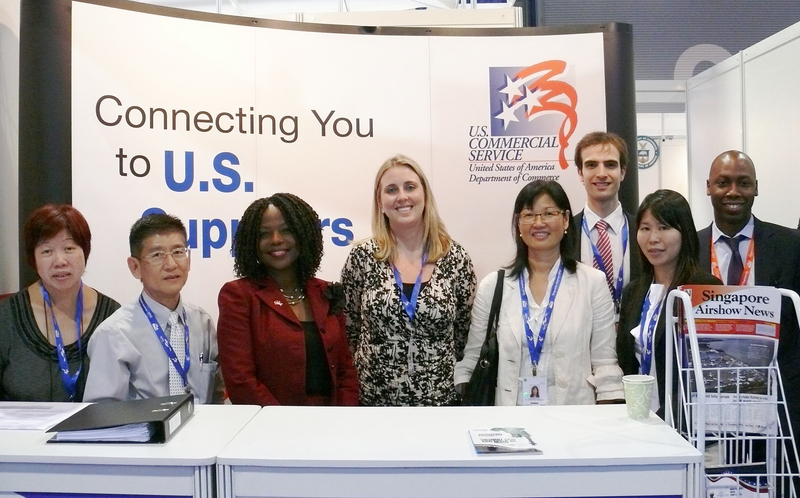 The delegation is part of the overall presence of U.S. companies at the U.S. International Pavilion, which this year featured more than 70 companies, 27 of whom are first time exhibitors. In total, more than 170 U.S. companies are exhibiting at the air show, which is Asia’s largest aerospace and defense event and one of the top three air shows in the world. One of the highlights of my trip was witnessing a signing ceremony between Boeing and Indonesia’s Lion Air. Lion Air has agreed to buy 230 new 737-model aircraft from Boeing, valued at $21.7 billion, making it the largest commercial deal in company history. The sale is estimated to support 110,000 industrial jobs in the U.S.
One of the chief architects of the Obama administration's bottom-up innovation strategies, U.S. Department of Commerce Assistant Secretary for Economic Development John R. Fernandez to return to private sector to promote innovation, job creation and global competitiveness. U.S. Commerce Department Assistant Secretary for Economic Development John R. Fernandez has spent the last two and a half years–amid the most severe economic downturn in generations–successfully guiding the Economic Development Administration (EDA). In this role, he has led the Federal economic development agenda by promoting innovation and helping America’s communities build the foundation for long-term growth. He announced his decision today to return to the private sector, where he will continue to foster innovation, job creation and global competitiveness. 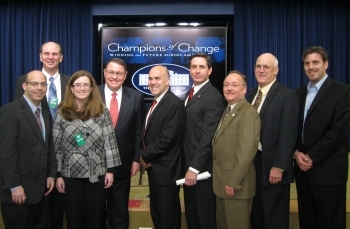 Yesterday, two NTIA Recovery Act broadband grantees were among 11 local leaders from across the country honored at the White House as “Champions of Change.” Joe Freddoso, President and CEO of MCNC, and Donald Welch, President and CEO of Merit Network Inc, were recognized for using innovative techniques to develop valuable projects helping to improve America’s infrastructure. Merit Network and MCNC both received Recovery Act grants from NTIA for broadband infrastructure projects that are currently underway and connecting community anchor institutions in Michigan and North Carolina, including schools, libraries, and hospitals, to high-speed Internet. Under the leadership of Welch and Freddoso, Merit and MCNC have put hundreds of people to work and are laying the groundwork for sustainable economic growth and improved education, healthcare, and public safety. 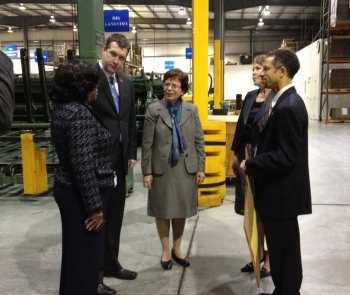 Acting Deputy Secretary Blank Tours Factory in Flint, Mich. Yesterday, Acting Deputy U.S. Commerce Secretary Rebecca Blank traveled to Flint, Michigan, to tour the factory floor at Genesee Packaging, Inc., along with Flint Mayor Dayne Walling, Genesee Packaging President and CEO Willie Artis, and other employees. Her visit followed the release of President Obama’s fiscal 2013 budget request Monday, where the president laid out his blueprint for an economy built on American manufacturing, American energy, and skills for American workers. Following the tour, Blank highlighted investments in the new budget proposal that will support U.S. manufacturers and help more American companies like Genesee Packaging keep making their goods here and sell them in markets abroad–both of which are top priorities of President Obama and U.S. Commerce Secretary John Bryson. In addition, Blank participated in a roundtable with area business leaders at the Genesee Regional Chamber of Commerce. Today @CommerceGov, @USNIST_gov, @NIST_MEP, @ExportGov and @TradeGov joined the manufacturing community on Twitter to discuss federal resources that are available to manufacturers and how the President's FY2013 budget requests additional support for manufacturers. #MFGChat is held monthly and organized by @MFGChat. Below is a selected transcript of the conversation. A complete transcript of all tweets can be found in this PDF. Yesterday the president released his FY2013 budget request and Secretary Bryson announced the Department of Commerce’s requests. In the president’s budget, there is strong support for manufacturers by increasing investments in advanced manufacturing, new trade promotion efforts, and innovation investments. To strengthen and extend Advanced Manufacturing research, Commerce's National Institute of Standards and Technology is requesting an increase of $45M for a total of $135M. These laboratory efforts are further leveraged with a request of $21M to support the Advanced Manufacturing Technology Consortia Program, and $20M for a NIST Centers of Excellence program. These programs will strengthen public-private partnerships and accelerate innovation focused on manufacturing and technology development. The president’s budget provides $128 million for the Hollings Manufacturing Extension Partnership (MEP) to improve the competitiveness of small- and medium-size firms in manufacturing and service industries through custom consulting and product testing. Secretary John Bryson today released the Department of Commerce’s fiscal year 2013 budget request that includes support for advanced manufacturing, new trade promotion efforts, innovation investments, finds $176 million in administrative savings. The Commerce budget makes critical investments in advanced manufacturing, innovation, entrepreneurship and competitiveness and trade promotion and enforcement to help create jobs. The nearly 5 percent increase reflects President Obama and Secretary Bryson’s commitment to encouraging U.S. manufacturing and helping more American companies sell their goods and services overseas. 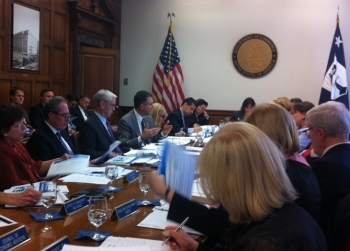 The fiscal year 2013 request is $8 billion and requests $2.3 billion in mandatory funding. The Department also identified $176 million in administrative savings, reflecting a strong commitment to wisely stewarding taxpayer dollars and making tough choices to prioritize programs that support the Department’s core mission areas. Advanced Manufacturing: Advanced Manufacturing: $156 million to expand NIST research in areas such as smart manufacturing, nanomanufacturing, advanced materials, and biomanufacturing, including $21 million for the Advanced Manufacturing Technology Consortia program, which will provide grants to industry consortia to tackle common technological barriers to the innovation and manufacturing of new products. Increasing U.S. Exports: $517 million for the International Trade Administration (ITA), including several key initiatives. The administration requests $30 million for critical investments in trade promotion to help more U.S. businesses reach the 95 percent of consumers who live outside our borders. This proposal also includes $30 million to send Foreign Commercial Service officers and locally engaged staff to high-growth markets to help support the National Export Initiative to meet the President’s goal of doubling U.S. exports by the end of 2014. The budget also supports a new trade enforcement unit-- the Interagency Trade Enforcement Center (ITEC), which will significantly enhance the administration’s capabilities to aggressively challenge unfair trade practices around the world (details below). Attracting Investment to the U.S.: The $517M for ITA includes $13 million for SelectUSA to encourage, facilitate and accelerate foreign direct investment in the U.S. to create jobs and spur growth. Additionally, as part of the administration’s efforts to revitalize manufacturing, the president’s budget proposes $1 billion in mandatory funding to establish a National Network for Manufacturing Innovation. Today, Secretary John Bryson traveled to Minneapolis, Minnesota, to tour facilities at Minneapolis Community Technical College (MCTC), along with Mayor R.T. Rybak and U.S. Representative Keith Ellison. 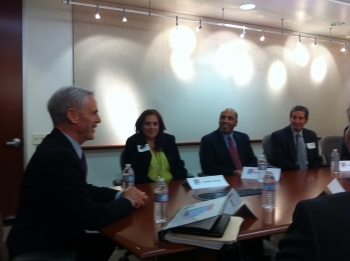 After the tour, Bryson held a discussion with business leaders, students and educators—including Steven Rosenstone, Chancellor of Minnesota State Colleges and Universities, MCTC Graduate Mike Palm and Kimberly Arrigoni, President-Elect of Minnesota Precision Manufacturing Association—on how the Obama Administration can continue to support successful partnerships between community colleges and businesses to train and place skilled workers. The rigorous education and hands on technical training offered at MCTC and other workforce training campuses has made a difference in the lives of people across the country. As President Obama said during his State of the Union Address a few weeks ago, having a strong workforce is a critical part of ensuring that our economy is built to last. Bryson noted that over the past two years, we’ve added over 3.7 million new jobs, including 404,000 manufacturing jobs. But there is still work to be done. 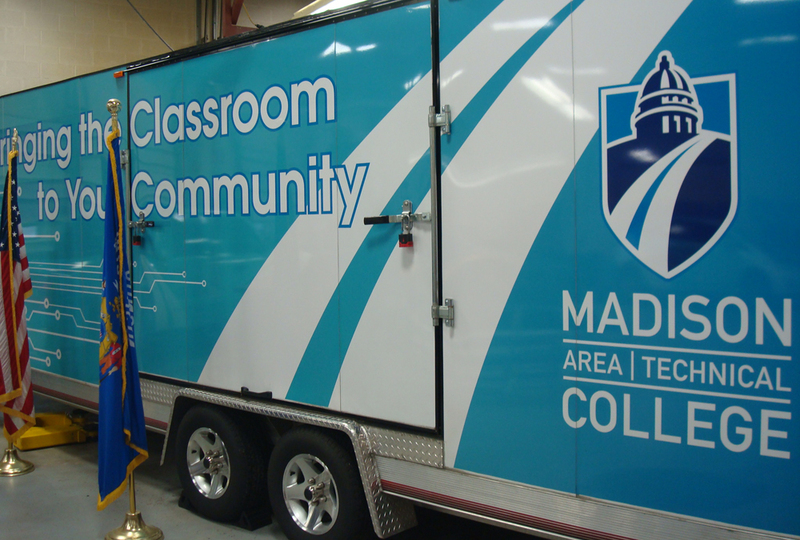 That’s why the President has called for more programs and partnerships like the ones at MCTC. We need to support more colleges that teach people the skills that businesses need, and investing in the next generation of skilled workers is a smart investment that will pay off. President Obama recently laid out plans in his State of the Union address to foster an economy that’s built to last by ensuring that America has the highly skilled workers necessary for 21st century jobs. 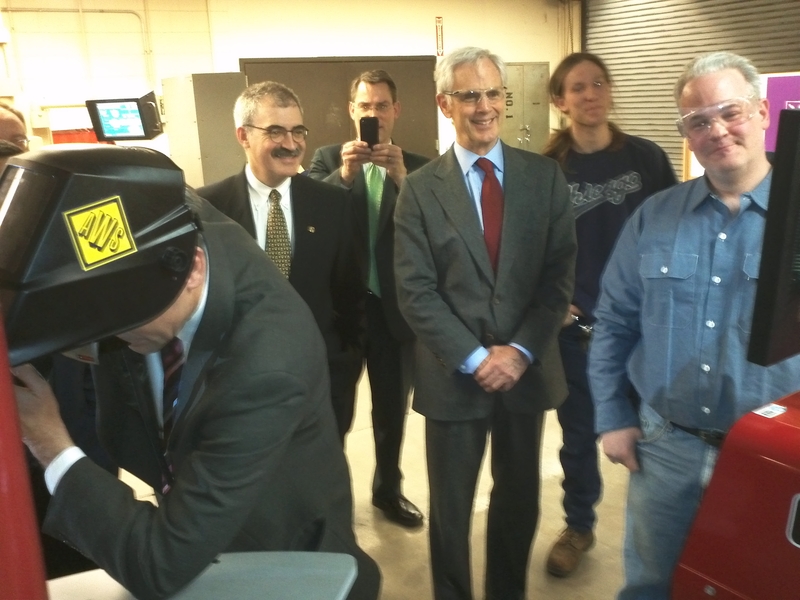 Yesterday, Acting Deputy Commerce Secretary Rebecca Blank traveled to Madison, Wisconsin, where she visited the Madison Area Technical College, a training ground for students that leads directly to skilled manufacturing jobs nationwide. Blank met with students and sat in on a training class focused on hybrid vehicle technology. Blank also delivered remarks on science, technology, engineering and mathematics (STEM) workforce training and met with business and university leaders. Commerce’s Economic Development Administration recently teamed up with Madison College to provide mobile technical training opportunities both on-campus and throughout the region. 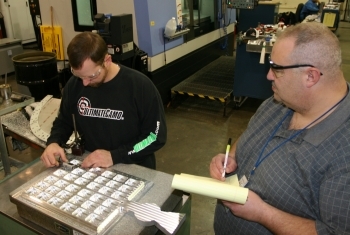 The training focused on advanced manufacturing and automotive technology. Blank also visited with several business and academic leaders, who are vital partners in the area of technical training at the Wisconsin Institutes for Discovery. In today’s information-age economy, broadband is becoming a necessity for anyone searching for or applying for a job. Many job openings are only posted online. And about 80 percent of Fortune 500 companies only accept applications online. What’s more, in the current job market, digital literacy skills are often a requirement. For example, about 60 percent of working Americans use the Internet as an integral part of their jobs. Yet too many Americans lack the broadband access or skills needed to succeed in the workforce. To help address this gap, the Broadband Technology Opportunities Program, or BTOP, is investing approximately $4 billion in roughly 230 projects to increase broadband access and adoption around the country. 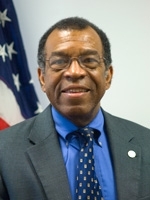 The Recovery Act program, which is administered by the Department of Commerce's National Telecommunications and Information Administration, recognizes that broadband can be a key to economic empowerment. In his State of the Union address, President Obama laid out an ambitious goal to train 2 million workers with the necessary skills to land a job. What are those skills in a 21st century economy? 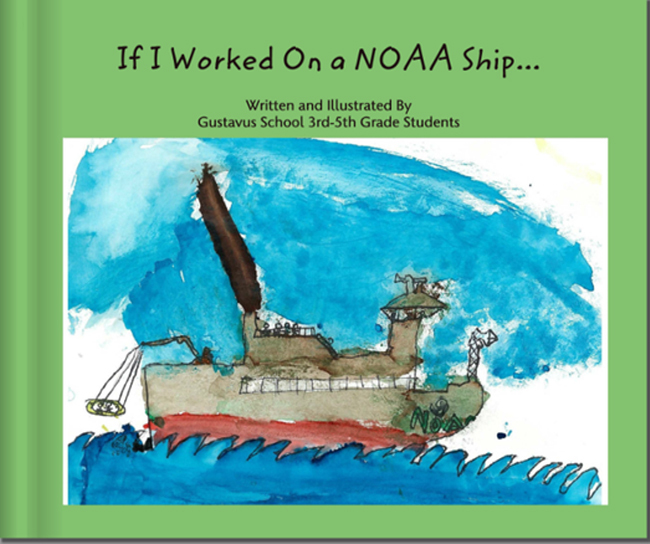 As we have written previously in this blog, the fields of science, technology, engineering and mathematics (STEM) play a critical role in America’s global economic leadership and are vital to securing the highest quality jobs of the future, to decreasing the gender wage gap, and to ensuring America retains global economic leadership through innovation and technology. In 2010, 7.6 million people or 1 in 18 workers held STEM jobs. (Watch this space for an update as 2011 data become available.) 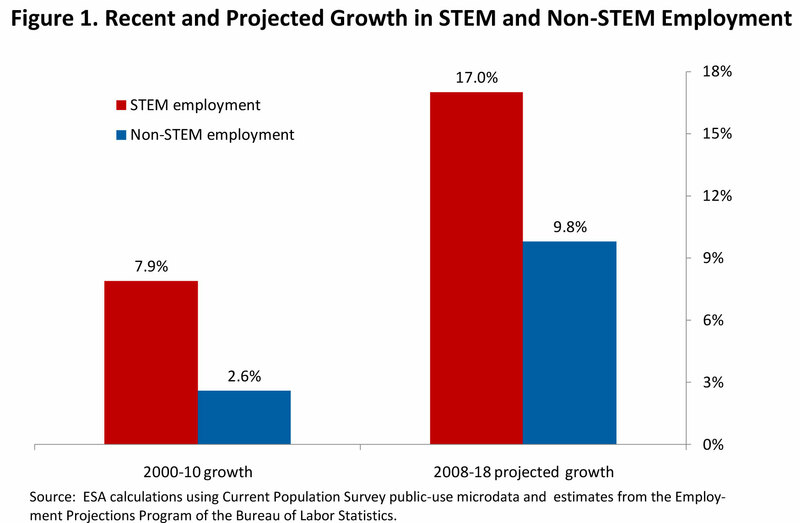 Although STEM employment makes up a small fraction of total employment, STEM employment grew rapidly from 2000 to 2010, increasing 7.9 percent while employment in non-STEM jobs grew just 2.6 percent over this period. (See Figure 1.) 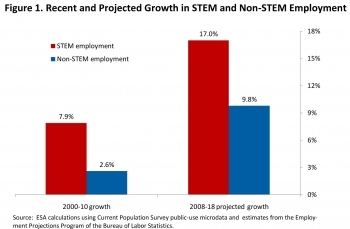 The Bureau of Labor Statistics (BLS) projects that STEM jobs will continue growing at a fast clip relative to other occupations: 17.0 percent between 2008-2018 (BLS’ most recent projection), compared to just 9.8 percent for non-STEM jobs. One of the more striking characteristics of STEM workers is their educational attainment. More than two-thirds (68 percent) have a college degree or more, compared to just under one-third (31 percent) of other workers age 16 and over. Nearly one quarter (23 percent) have completed an associate’s degree or at least some college. Just 9 percent have a high school diploma or less. Thus the majority of STEM workers tend to be college educated, but opportunities also exist for STEM workers with fewer years of study. 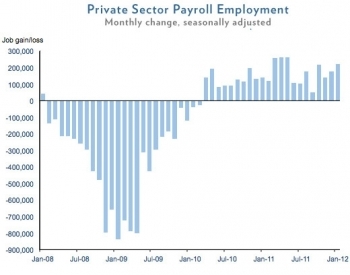 Today’s employment numbers are yet another indication that our economy is moving in the right direction. The unemployment rate dropped to 8.3 percent and 243,000 jobs were added in January, making this the 23rd consecutive month of job growth. 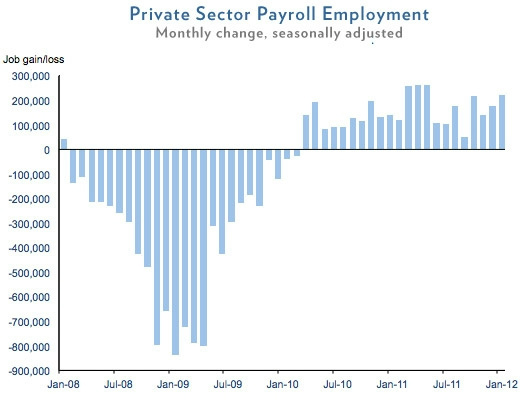 Private sector job growth has been driving the decrease in unemployment, with the private sector adding 257,000 jobs last month. The manufacturing sector alone grew by 50,000 jobs in January, showing that manufacturing is still an important and growing part of the American economy. In the last two years, manufacturing added 330,000 jobs in the U.S. – the strongest growth since the 1990s. And today, we learned that new orders for manufactured goods rose 1.1 percent in December 2011. Despite this, our work remains far from over. We need faster economic growth to put Americans back to work and we won’t let up until everyone who wants a job can find a job. We must redouble our efforts to create an economy that is built to last. So what does that mean? I can tell you first hand. Over the past 10 days, I’ve traveled to Norfolk, Columbus and Pittsburgh to talk with businesses that are on the front lines of strengthening the elements of an economy built to last: American manufacturing, American energy, and training for American workers. I’ve talked with manufacturers who are making everything from mattresses to advanced batteries. My message to them is a simple one: This Administration – this Department – wants to help more businesses like yours build it here and sell it everywhere. 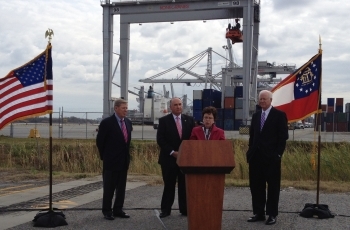 We can and must build on the momentum the economy has gained in four key ways. 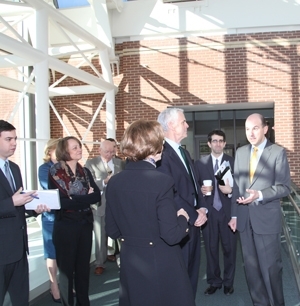 Secretary John Bryson stopped by the United States Patent and Trademark Office (USPTO) headquarters in Alexandria, Virginia on Friday to meet with employees and tour the facility. It was the first time he had visited the USPTO office since being confirmed as Commerce Secretary in October of last year. While he was there, the Secretary congratulated the USPTO for its work on the implementation of the historic America Invents Act, which encourages innovation by making the first set of major reforms in the U.S. patent system since the 1800s. The America Invents Act allows businesses to get new ideas to market faster by reducing the time it takes to review applications for new patents to 12 months. By working to implement this law and rebuilding America’s intellectual property system from the ground up, the USPTO is making it easier for businesses to invest in new technologies, launch new industries, and create new jobs—in a 21st century global market. Bryson also had the opportunity to discuss the USPTO’s efforts to improve patent quality. The USPTO has issued new guidelines that will clarify and tighten the standards for the issuance of patents. The new guidelines offer a more comprehensive measurement of the quality of patent examinations to ensure high standards in our patent process. On Feb. 2 when many people were focusing on groundhogs and their shadows, the National Archives focused on high-tech conservation and the freshly conserved 1297 Magna Carta, including its state-of-the-art encasement designed and built by the National Institute of Standards and Technology (NIST). The first Magna Carta was signed in 1215 by King John of England after an assembly of barons forced him to put in writing for the first time the traditional rights and liberties of the country’s free persons. In 1297, King Edward I was forced to reissue the Magna Carta. This time it was entered into the official Statute Rolls of England and became the foundation of English Law. Centuries later it inspired the writers of the U.S. Constitution. Unveiled at a briefing for the news media, the encasement is a controlled environment, something NIST’s Fabrication Technology Group builds regularly for lab research. Its cover is made of a special laminated glass with antireflective coatings to ensure maximum visibility of the document while protecting it. The tightly sealed case is filled with argon gas—which will not react with and damage the parchment as oxygen would. The encasement will be continuously monitored to ensure oxygen stays out. NIST engineers and crafts people also built the platform on which the document sits within the protective encasement. They used a three-dimensional laser scan of the Magna Carta and its wax seal to guide a computer-controlled milling machine that cut away 90 percent of what began as a six-inch thick block of aluminum. The result is a nest of sorts to hold the parchment and its original wax seal (which still bears the likeness of Edward I). The nest makes sure the seal does not put any strain on the ribbon that attaches it to the delicate parchment document. The Department of Commerce's U.S. Census Bureau today released its 2010 Service Annual Survey, which shows that of the nation’s 11 service sectors, 10 showed an increase in revenues for employer firms between 2009 and 2010. These figures are the first findings from this survey to track the revenues of services after the December 2007 to June 2009 recession. The statistics cover multiple service sectors: the information services sector; the health care and social assistance sector; the finance and insurance sector; and the arts, entertainment and recreation sector. 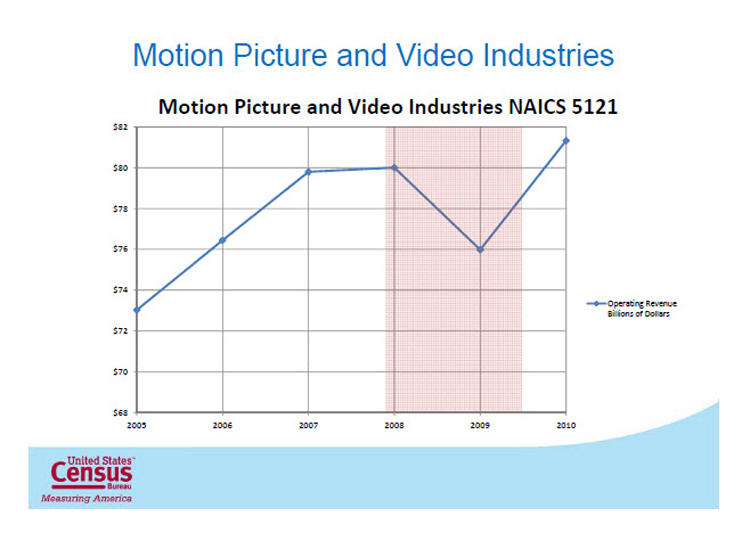 The information sector increased from $1.08 trillion to $1.1 trillion. Within this sector, Internet publishing and broadcasting continued to see increased revenues, up 11.3 percent from $19.1 billion to $21.3 billion in 2010. 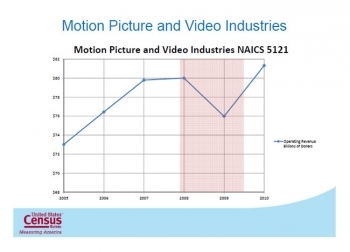 Television broadcasting increased 12.0 percent from $31.6 billion to $35 billion. Cable and subscription other programming as well as wireless telecommunications carriers also saw increases in revenue of 7.3 percent and 5.3 percent, respectively, to $55.2 billion and $195.5 billion. See the complete list on their full press release. This growth within the service sector mirrors a May 2011 report that showed the record services trade surplus that continues to grow. U.S. trade in private services totaled $526.6 billion in 2010, representing a trade surplus that is growing, rising from $66.7 billion in 2003 to $168 billion in 2010. 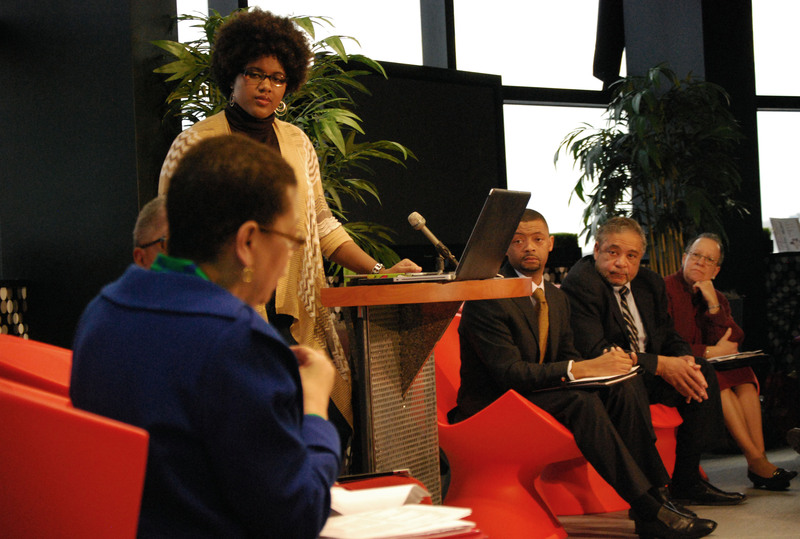 The Commerce Department's U.S. Census Bureau today hosted a forum with the National Urban League on the black population at Black Entertainment Television studios in Washington, D.C. The event highlighted statistics from the 2010 Census, providing a portrait of the black population in the U.S. 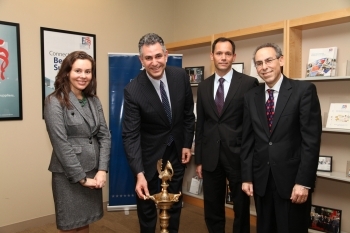 Following the presentation, an expert panel discussed the statistics and their implications. Kristal Lauren High of Politic365 moderated. Joining Census Burea Director Robert Groves and other Bureau officials were National Urban League officials, including Marc Morial, chief executive officer and president. Experts on the panel from public and private universities and centers for population, political and economic studies responded to questions submitted via Facebook and Twitter and broadcast on the Census Bureau's Ustream channel. 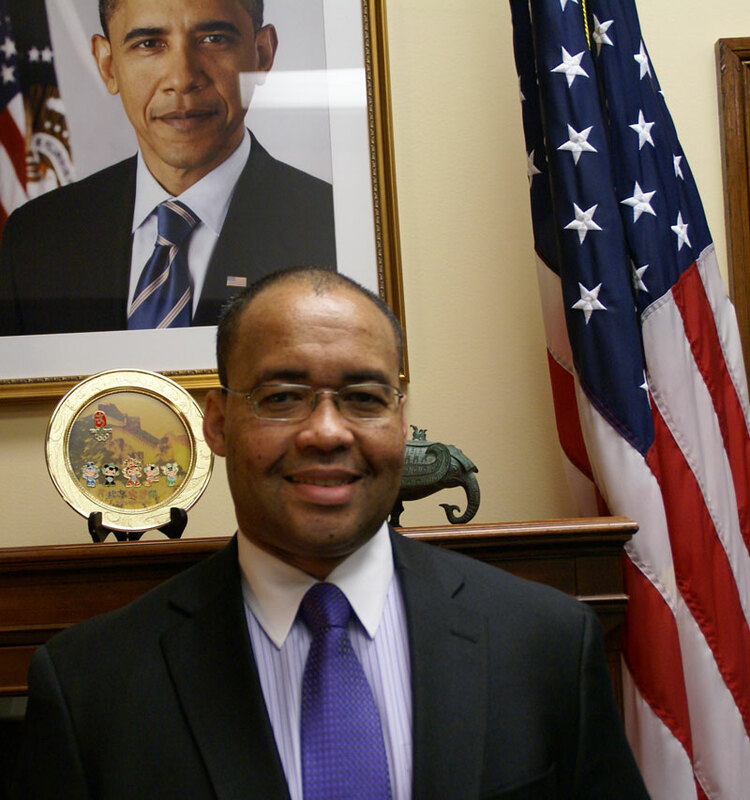 In his remarks, Groves noted that today is the beginning of Black History Month. In 1976, as part of the nation’s bicentennial, the original 1926 Black History Week was expanded into a month. Each year, U.S. presidents proclaim February as National African-American History Month. The U.S. Census Bureau has gathered data and facts relating to Black History Month in its Facts for Features: February 2012. Secretary Bryson is in Pittsburgh, Pennsylvania today, where he has a busy day. He started his day meeting the Western Pennsylvania District Export Council (DEC) over breakfast. 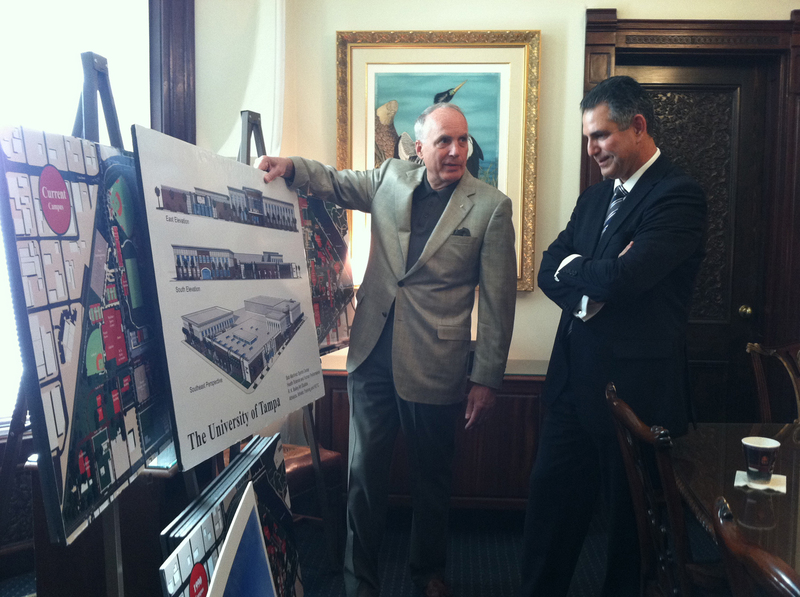 He shared the President’s outline for ensuring more items are made in America. The President has proposed an end to tax breaks for businesses that outsource, additional tax relief for those that bring jobs back, and lowering the tax rates for manufacturers, especially high-tech manufacturers. DEC members shared with him what they are hearing from their fellow business leaders about the challenges and successes of exporting into new and expanding markets. After thanking DEC members for their hard work, Bryson toured Aquion Energy, a Carnegie Mellon University spin off and battery technology company. Bryson was joined by Pittsburgh Mayor Luke Ravenstahl and Aquion CEO Scott Pearson. 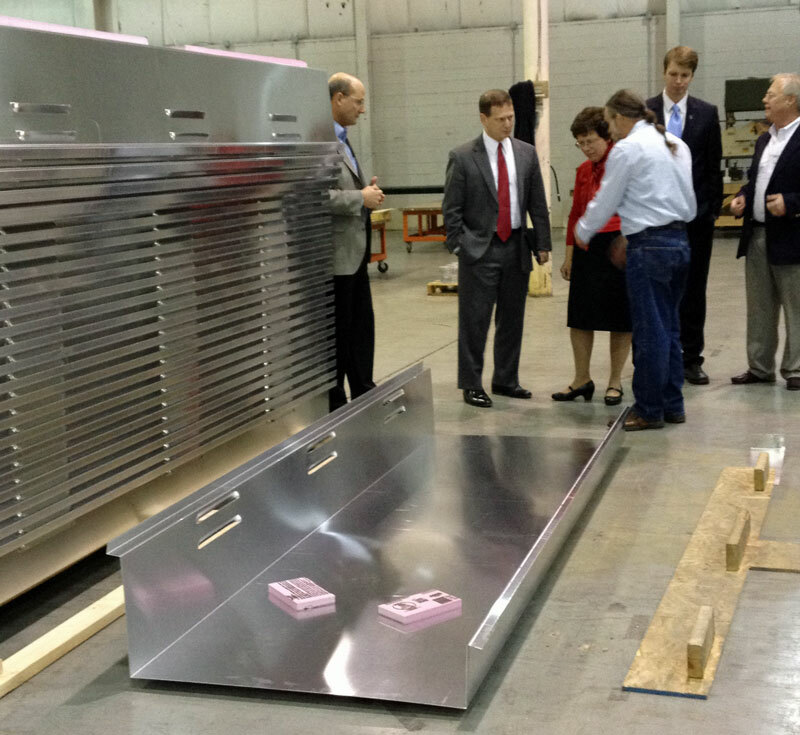 They toured the development lab, the manufacturing floor, and battery assembly room. 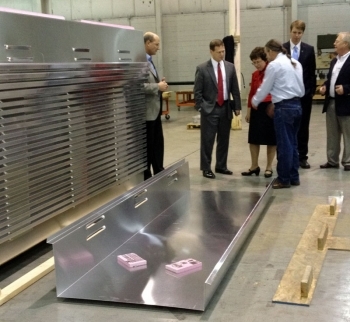 Aquion Energy is working on bringing new battery technology to market. This technology is a sodium-ion battery optimized for stationary storage applications with a targeted commercial release of 2012 in applications such as micro-grid support, off-grid generator optimization, and grid-level energy services. Bryson and Mayor Ravenstahl then headed over to Carnegie Mellon University to participate in a discussion with business leaders and Carnegie Mellon Vice President of Research Rick McCullough. Bryson highlighted the President’s call for new energy economy and the Department of Commerce’s support for manufacturers. To compete in a global economy, U.S. businesses need to build it here and sell it everywhere, which is why Secretary Bryson has agreed to co-chair the national office for the Advanced Manufacturing Partnership. He is also relentlessly advocating for increasing America’s exports and investment in America’s companies, workers and ideas.